The CSX series Soft Starter provides soft start and soft stop control for new or existing motors. The starter is compact, reliable, and features a built-in bypass contactor to reduce heating during run. This makes the CSX ideal for installation into switchboards or starter enclosures. While CSX soft starters are ideal for soft starting of motors having external motor protection, the CSXi soft starters provide complete built - in protection in a compact design. The EMX3 series, soft starter provides a complete motor starting and management system. With an impressive range of features combined in a single user friendly package, never before has motor control been so simple. The softstarter has unique XLR-8 adaptive acceleration control which gives an unprecedented level of control over motor's acceleration and deceleration profiles. 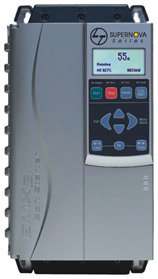 EMX3 has a built-in bypass contactor and can be connected to 6 Wire or inside delta confirguration enabling the starter to control motors 50% larger than possible with standard 3 Wire connection. IMS 2 series soft starters are a total motor starting solution. They include all the functionality expected from an advanced and technically superior soft starter. IMS2 soft starters retain motor protection and monitoring functions even when soft starter is bypassed. IMS starters can be connected to the motor in 6 Wire or inside delta configuration enabling the starter to control motors 50% larger than possible with standard 3 Wire connection. 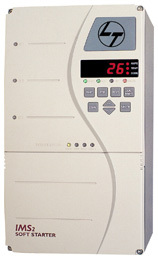 MVS Series soft starters set new standards for control of medium voltage motors. The MVS power assemblies are extremely robust and compact, suitable for use in most demanding industrial locations. Electrical isolation of low and high voltage circuits is assured by a two line fibre optic interface between the power assembly and the control module. It features a multi level password system for adjustments of security parameters, multi language display and intuitive menu structure. © Copyright 2011, Vega Industrial Systems.